I'm in love with a few things in life... Coffee, Card Making and Crafting, Fashion.... oh, and of course, my family - lol. So when I see an outfit that I love I see how easily it can translate to a hand-stamped card or crafted project. This cute and stylish card does just that. 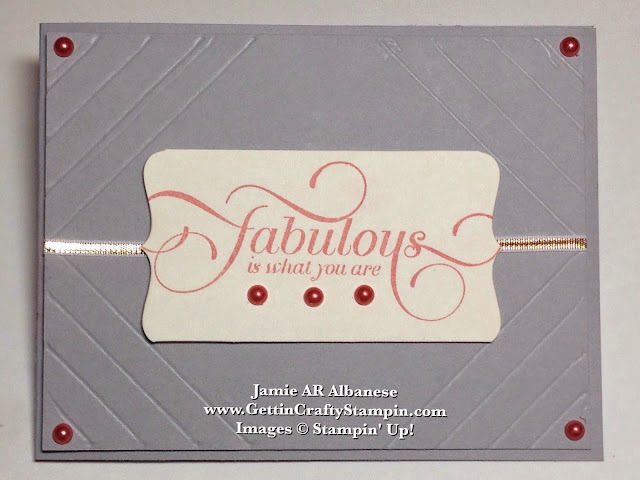 Created as a simple but elegant wish, this fabulous hand-stamped card is sure to delight. Like fashion, see how it is fun to take it up a notch with the perfect accessory, too! Seeing this stylish outfit had me over the moon! I love the look and style of it. 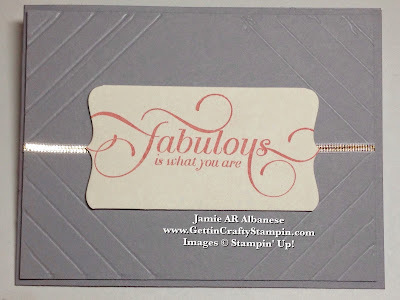 Creating a hand-stamped card that mimics the lines and simplicity of this outfit was a must! Cutting the Smoky Slate card stock into a long card I set it aside. Cutting a piece of the Smoky Slate to score will create layers and elegance - so I trimmed a second piece down to 4"x 5-1/4" so that I can layer it with ease. Using the Simply Scored Scoring Tool and Diagonal Plate I created these stylish lines that mimic the V-neck of the pretty dress. It will create a frame for the sentiment. The Million & One stamp set is so elegant and lovely. The sentiment is long and I wanted some flair to the cut of the words. 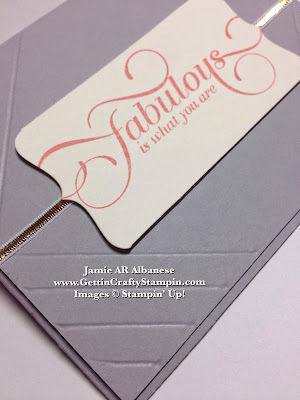 Using the Deco Labels Framelits, Big Shot Magnetic Platform and Big Shot Die-Cutting machine you can die-cut a great shape to frame up the sentiment or image. It was too wide for my style. 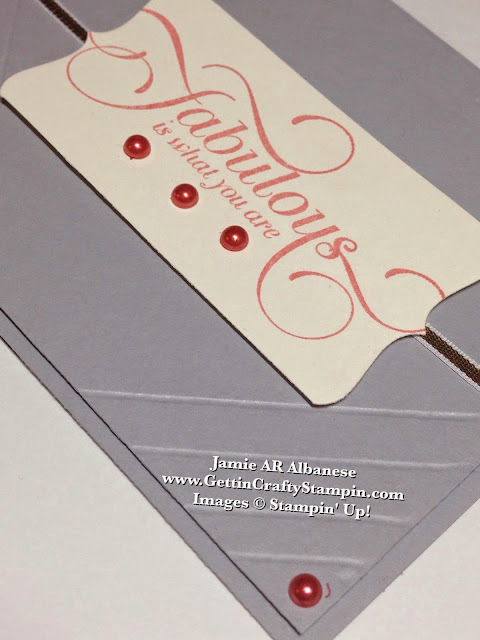 Cutting the top and bottom flair pieces will give me a sleek and long die-cut image to frame my hand-stamped greeting. Adding a pop of metallic accents is so fabulous! I love our metallic 1/8" ribbons!! 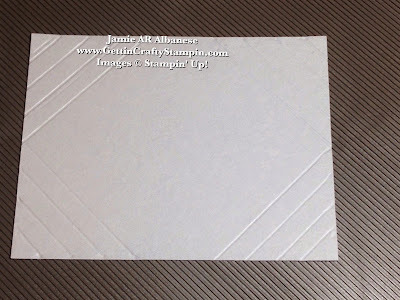 Here the Gold 1/8" Ribbon wraps around the scored piece of card stock. 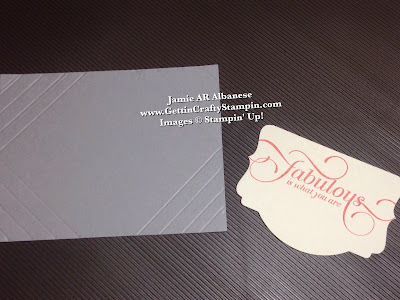 Adhered to the front of the card with Stampin' Dimensional adhesive there is subtle but elegant dimension to this card. I love the framed look of these score lines. The Simply Score Scoring Tool is super easy to use - I used it daily in scoring my card stock before cutting to doing Lollies/Rosettes. Like any good outfit, accessories can really jazz up the look. Crafting is so much like fashion and the accessories can really wow! Using the Calypso Coral Blendabilites Markers (the dark shade) color the adhesive backed larger Pearl Jewels. These markers are alcohol based and will transform a stunning pearl into a lovely coral jewel! 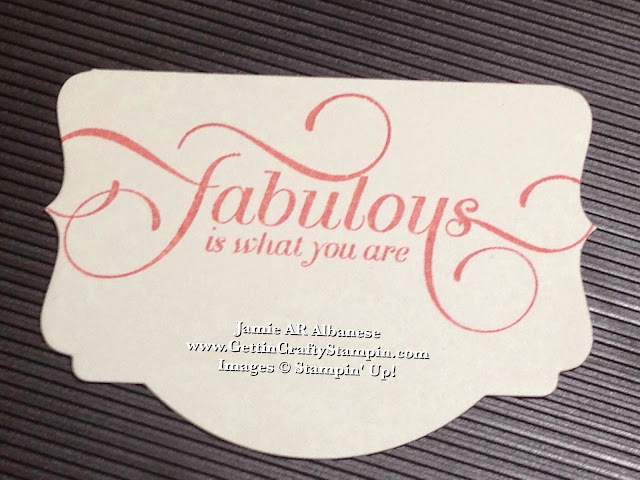 Fashion inspired, hand-stamped, die-cut, scored, elegant card for those who are Fabulous in your life! Bam - it's easy and lovely! I adore the color combination, the classic lines and how fabulous the hand-stamped sentiment is. Find inspiration everywhere! For me it's constant and with my love of style it's easy to translate it into a hand-crafted card. 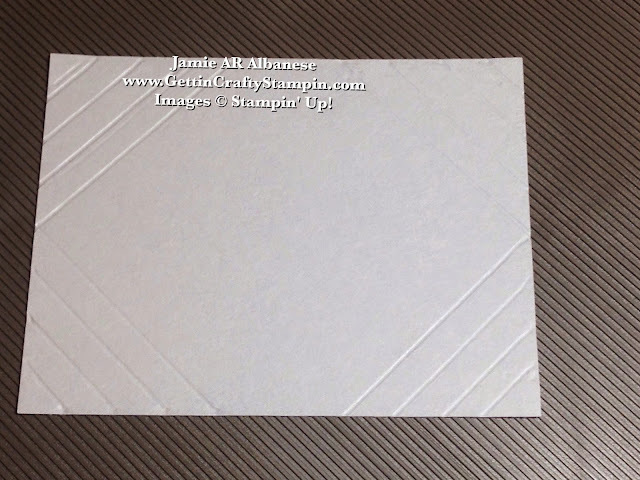 Send some class and style in this hand-stamped card to your loved ones and show that you care.